Would you like to step back in time, to the early days of aviation, when magnificent men in their flying machines ruled the skies? 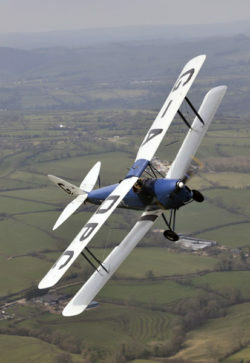 Our Tiger Moth Flights are tailored to give you an amazing experience. 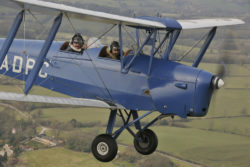 You’ll buckle up in a vintage 1930’s Tiger Moth with an experienced instructor behind you, plus your own period jacket, goggles and obligatory white scarf to wear along the way. Prior to the flight, you’ll undergo a full safety briefing and preliminary instruction, before a further cockpit briefing, then it’s onto the main event! You’ll take to the air over Derbyshire and Staffordshire, communicating with your instructor via radio before returning the aircraft to base at Derby for debriefing.